We try to be different from other Cafe Barrier suppliers. We do not pull products from shelves and send them to our clients. Every delivery is made specifically for the customer purchase order. That's why we are so flexible when it comes to finishes, modifications and printing. Below are some examples of client requesting "out of the box" products. When Nick from Boswells approached us to ask if we could help him with a wind problem, our first inclination was to refer him to a medical professional. However, it transpired that his seated area within a shopping centre was located by some automatic doors. This results in his patrons getting a cold chill and goosebumps when ever the door was opened. We went to work and designed a two metre high system which was half clear acrylic and half canvas. This kept the branding uniform and also provided the protection he needed. The best thing was that Nick did not have to replace anything. We designed the screens to connect to the existing system we had installed the previous year. 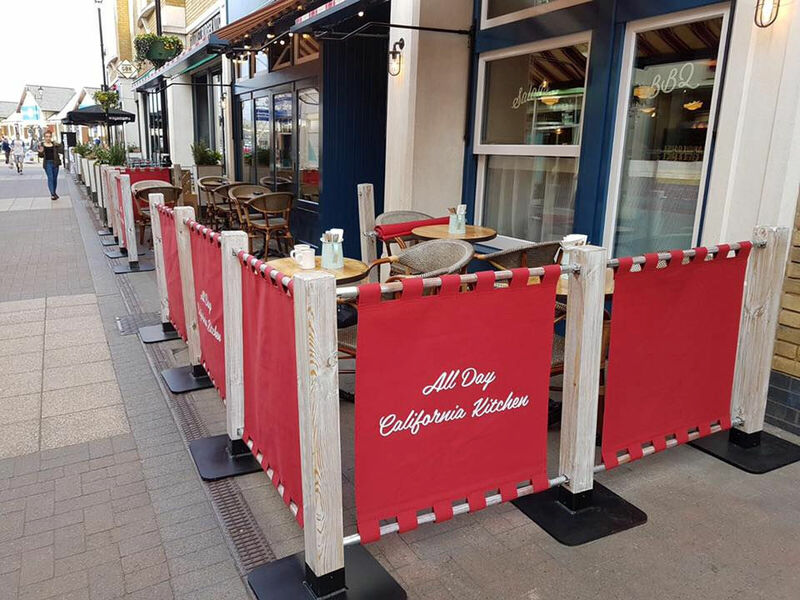 We were asked by a client to manufacture some wooden rustic posts which would give an effect of drift wood to compliment the clients furniture scheme. After developing the finish for what seemed like ages, we finally came up with this installation. The posts were initially routed in house, then stained in a dark mahogany finish. Once the post was dry it was recoated with a vintage white paint. The posts were then clear lacquered to ensure protection from the elements. The cross beams were then turn down and finished using the same technique. The client was overjoyed with the results. Sometimes we get asked for things that are usually outside our general product scope. 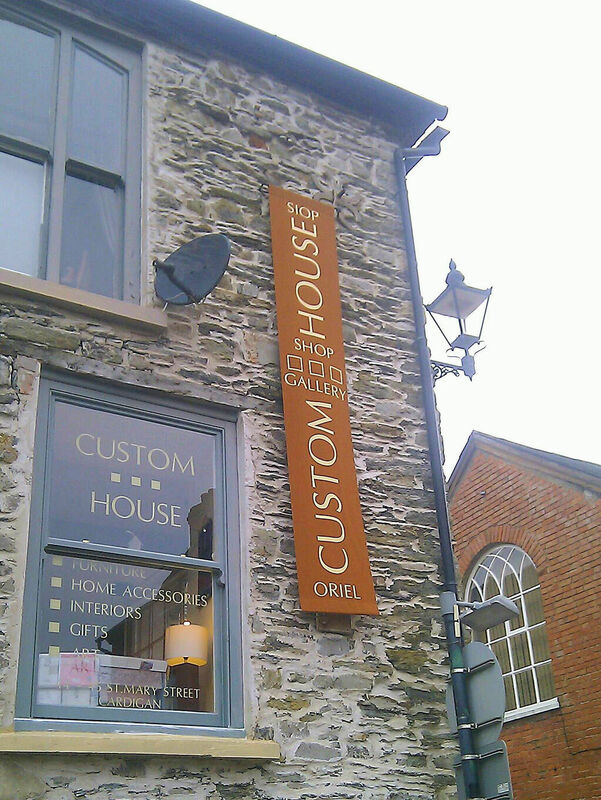 On one occassion a client asked if we could manufacture a banner that they could hang outside their shop as a facia. The banner was to be 3 metres long and would be printed using cream UV stable vinyl. The fixings we manufactured for the sign were in Stainless Steel and provided tension to keep the sign taut. As the material is used for awnings and Yatch Sails, it would easily cope with the application that was required.